Product prices and availability are accurate as of 2019-04-21 10:16:01 UTC and are subject to change. Any price and availability information displayed on http://www.amazon.com/ at the time of purchase will apply to the purchase of this product. How to Meditate with Your Dog takes an interesting approach to meditating with your dog. This book provides simple, yet effective, methods for meditating with dogs of all sizes and temperaments to help relieve stress, enhance well-being, improve focus, cultivate compassion and create and develop a deeper bond between man, or woman, and pooch. If you are wondering how you can make yourself and your dog happier and healthier, then this book might be the right option for you as Dr. Dressler writes in the Dog Cancer Survival Guide, managing your emotions is one of the most important things you can do as a pet guardian as you may not be in the right frame of mind to handle the difficult and tough decisions that you will have to make on your dog's behalf. We hope this helps in overcoming and handling your and your dog's emotions! ** Please note that this is an Amazon Kindle version of the book and is available directly from Amazon. In the past decade, the thousands-year-old practice of meditation has charged into the Western mainstream. Everyone from rock stars to medical professionals rave about meditation and its health promoting benefits. The biggest question people have is, "how do I start?" Forty-five million Americans already have a built-in meditation guru just panting to teach them: their dogs. 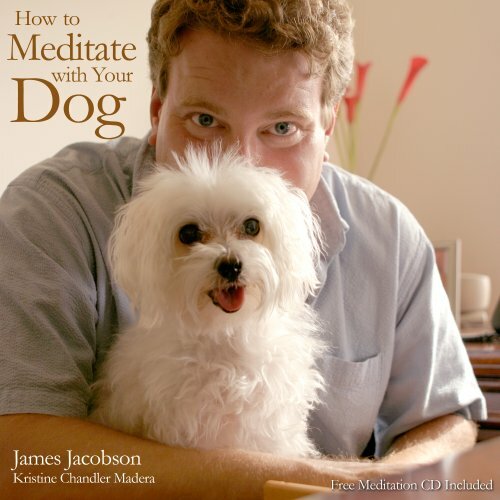 In "How to Meditate with Your Dog" James Jacobson and his dog, Maui, show dog lovers everywhere the meditation technique that Jacobson has used and taught for over a decade. This simple method works for dog of all sizes and temperaments-or even without a dog. It relieves stress and enhances well-being, improves focus and cultivates compassion, all while deepening the connection between pack leaders and their pooches. "How to Meditate with Your Dog," is the first in a series that presents a non-dogmatic approach to meditation that makes it accessible to anyone. If you ever wondered, "can I do anything to make me and my dog healthier and happier" this book's for you.